Recently, I’ve been madly searching Ebay for new fabric. I do this quite often, I’ll admit, but there are times when finding the perfect vintage fabric is all I can think about. 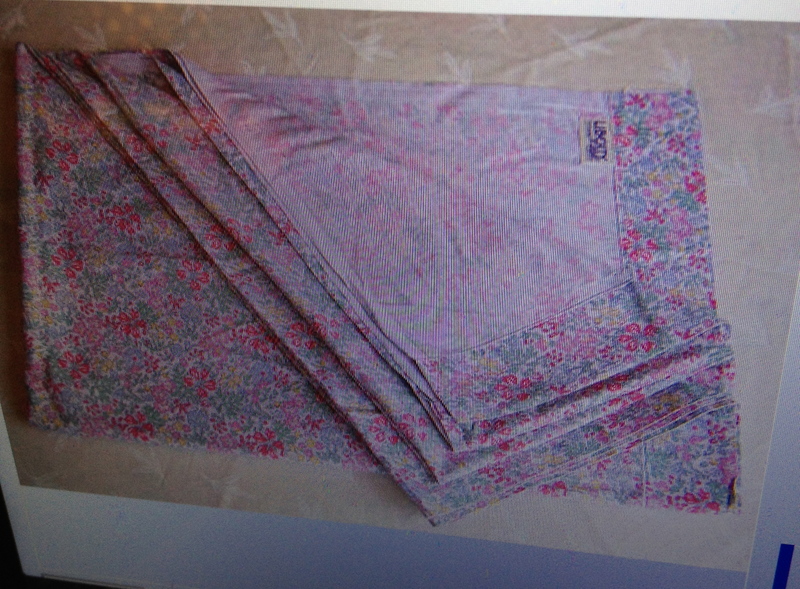 A couple of days ago, I found this lovely fabric, which was originally a sheet from Liberty. 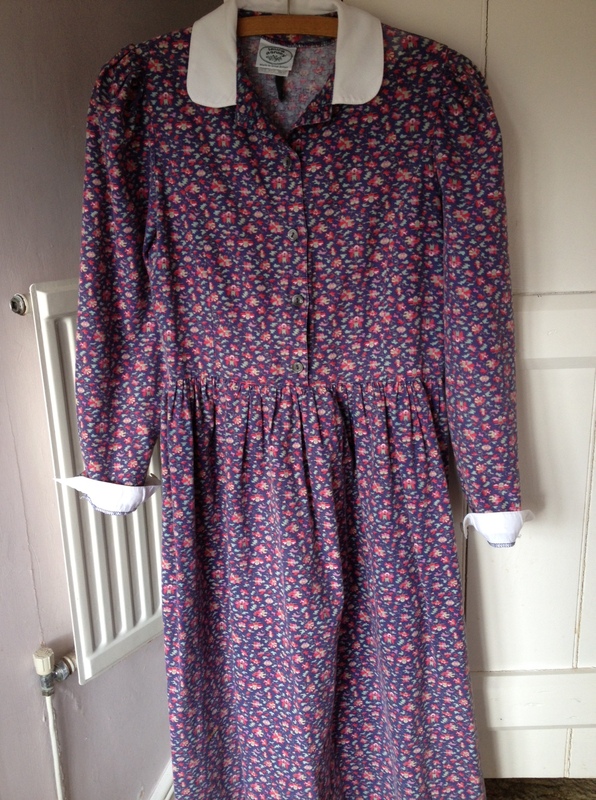 I literally dreamt up an outfit I could make with this (a 50s style short-sleeved summer dress) and the amount of fabric was perfect for what I needed. However, being on a budget, I knew I had to let this one go, as I simply couldn’t afford to pay the £62 it ended up going for. Sometimes, auctions go your way and sometimes you end up losing out. But that’s life and, conveniently, it made me think of a new blog feature, where I’ll share my tips on vintage hunting. This time, I’m focusing on searching Ebay for fabric and what you should look out for. Check the measurements of the fabric carefully, as you don’t want to buy two metres when you really need three. 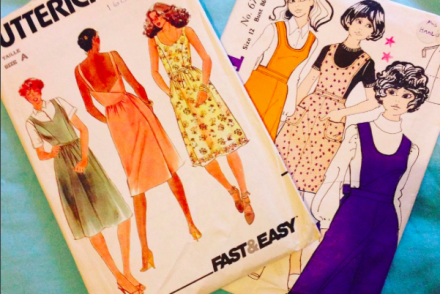 Believe me, there’s nothing worse than running out of fabric when you’re making a garment and, with vintage, you might not be able to buy more of the same. So, it’s always better to buy bigger quantities in the first place and then you can always use the scraps to make some bunting or to go towards a quilt. Obviously, this is hard when you’re looking at a computer screen, but sellers should always disclose marks or damages in the description. If you’re not happy with your purchases, and you don’t feel that a mark or stain has been disclosed properly, then you’re well within your rights to contact the seller for a full refund. Be careful though, as some sellers clearly state that they don’t accept refunds and by buying the item, you may have agreed to these terms. Is what you want to buy worth it? Don’t ever pay over the odds for something that you could have bought cheaper elsewhere. Obviously, if it’s a one-off, limited edition, then it’s different, as you will be paying a lot for the product but make sure you search Ebay (and other websites) before you part with any money. When I recently bought a Laura Ashley dress, I did my research and found that the prices of dresses on Ebay varied from £10 to £150. I got mine for £30 in the end, which was about average. That’s not to say that you can pick up something for next to nothing on Ebay. Sellers have to make their money too and some branded vintage fabric can go for about £30 for a metre or two. 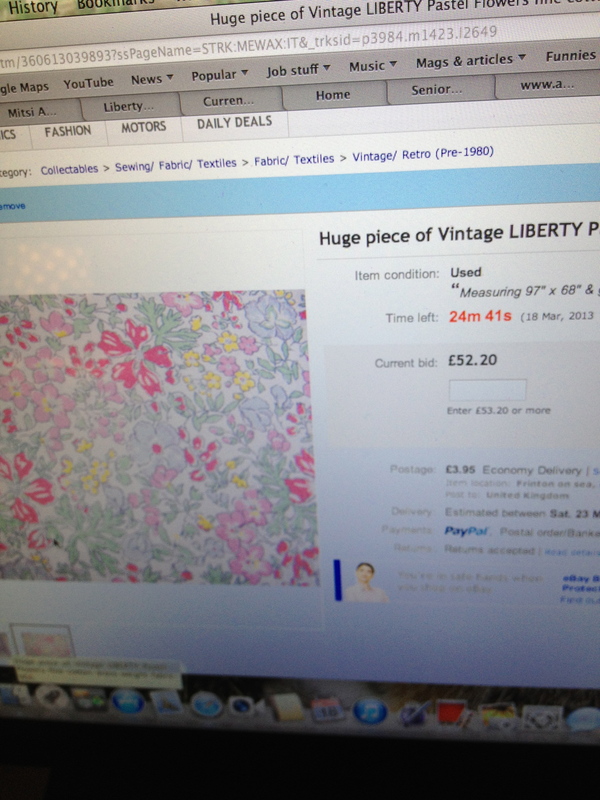 I’m not that surprised that the above Liberty fabric went for £62, but I just couldn’t afford to pay that much for it, which brings me to my next point. Ebay can be addictive and it can be hard to let go of something that you’ve set your heart on (same goes for real life auction houses by the way). But, it is important that you stick to your limits and are happy with what you’re buying for the price. Yes, you might not get the fabric that you really wanted, but you could also spend too much on something that you only wanted because of the name, then get it home and never use it because you wanted something a little brighter in colour. In the past, I’ve spent money on fabric or clothing that has just sat in my room, unused. Isn’t it better to make sure you really want the product before buying it? Relating to the above points, make sure you don’t get carried away with the initially cheaper bidding prices when the ‘buy it now’ section (although it can seem more expensive) actually offers a better deal. I’ve been guilty of this and was getting excited by the Liberty sheet when it was going for a mere £12. When you’ve researched how much you should be paying for a product, have a look at the ‘buy it now’ fabrics and see if there’s anything around the same price or cheaper there. Of course, Ebay isn’t the only place to search for fabric and you can often pick up bargains elsewhere, in vintage fairs or jumble sales. The key is, though, to know what you’re looking for. I’m hoping to continue this ongoing feature, with some other vintage hunting tips. If there is anything in particular that you’d like to see, or something you feel I’ve forgotten to mention, then let me know in the comments. Reblogged this on Hand-me-down Cardiff.